The shark fin makes these cars look worse. 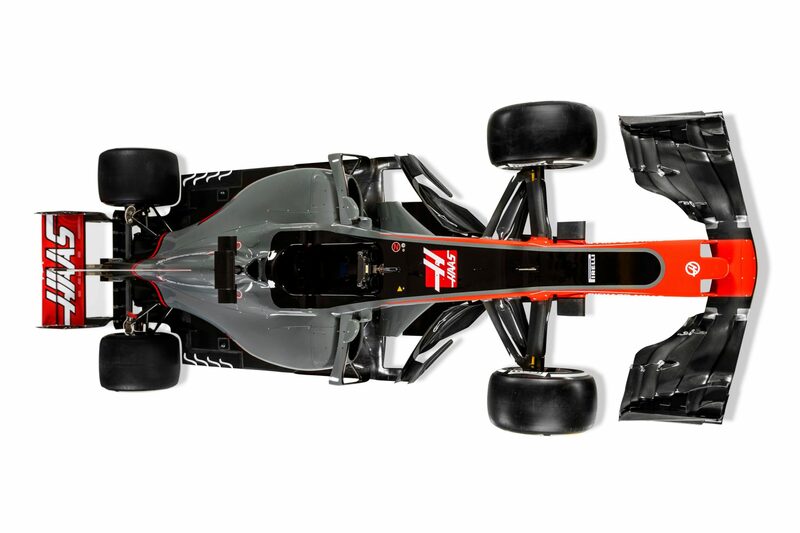 The gills on the front of the nose on the McLaren are rather interesting. I agree Chief I definitely hope to see better results out of Ferrari this year too. 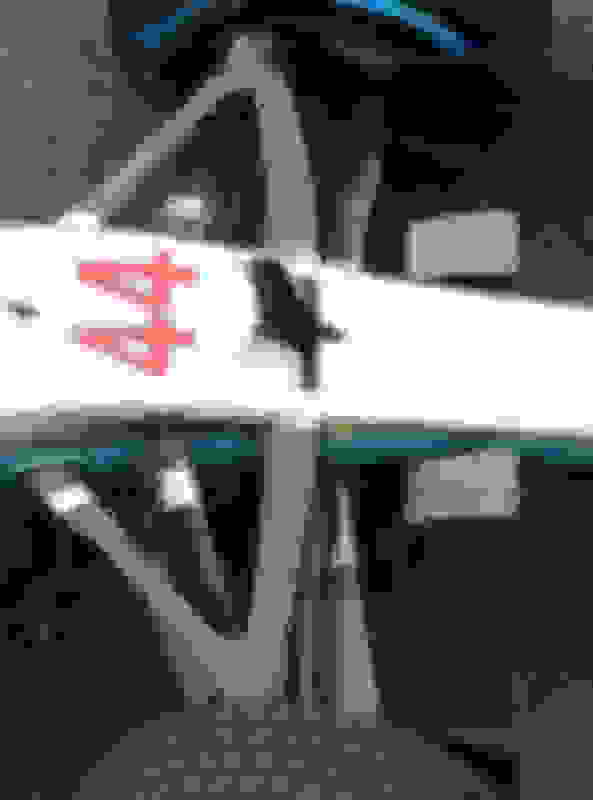 ^ Hard to tell for certain but it appears the FW40 upper front suspension structural support is just a single link and not a typical "A" (or wishbone) arm. The lower support is a "A" arm with the typical pushrod and tierod for suspension and steering. It's been since the early 80's when most F1 cars used a upper rocker arm which provided suspension and structural support. Once teams moved toward pullrod or pushrod they used upper "A" arms. 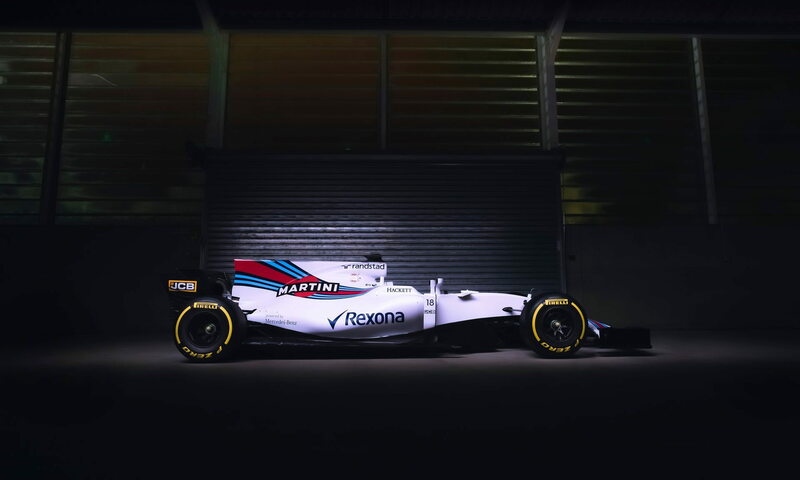 Still think the FW40 is the prettiest car on the grid. So there seems to be a lot being made out about a possible loop hole that Mercedes and Ferrari may have found with the little wing on the back of their cars. 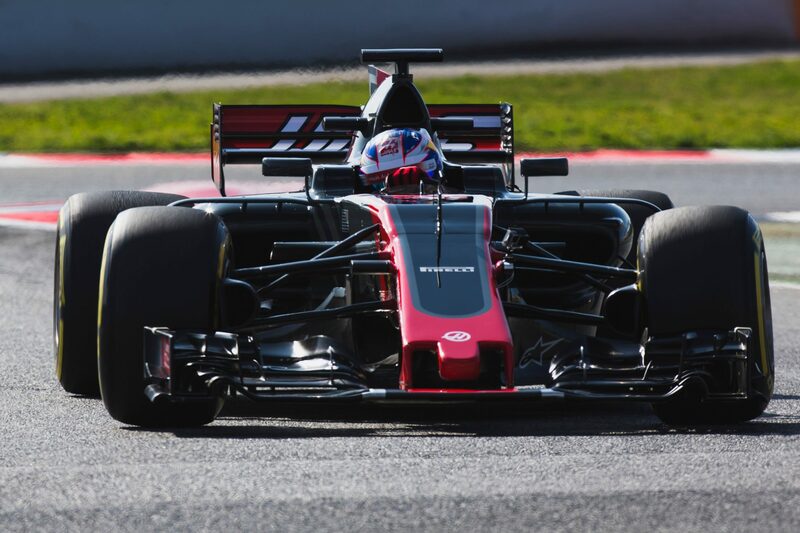 However this picture I found from testing today it appears that Haas also has one of these little wings in front of the larger wing. 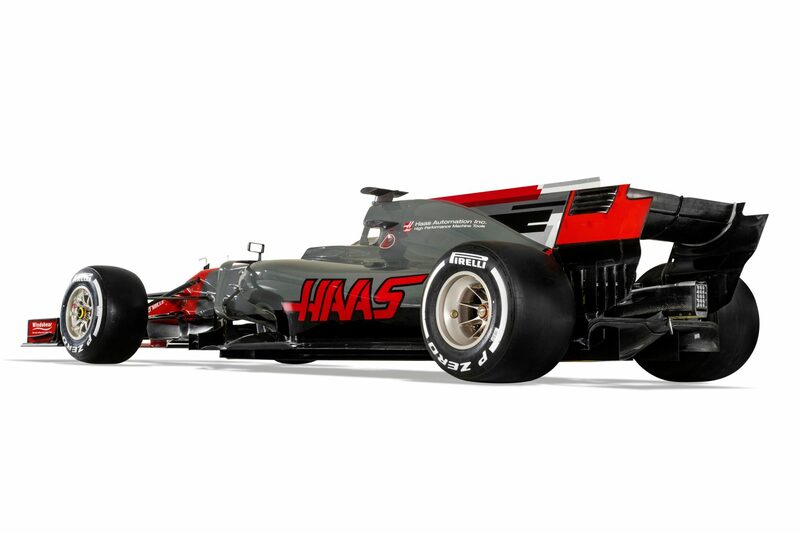 Haas didn't have this wing in early shots of their car so they either made an entire different rear piece for test of also just to hid it from initial release or the piece can be added but bolting and unbolting it cause if you look closely at the back of the rear fin there appears to be a squared off flat spot. 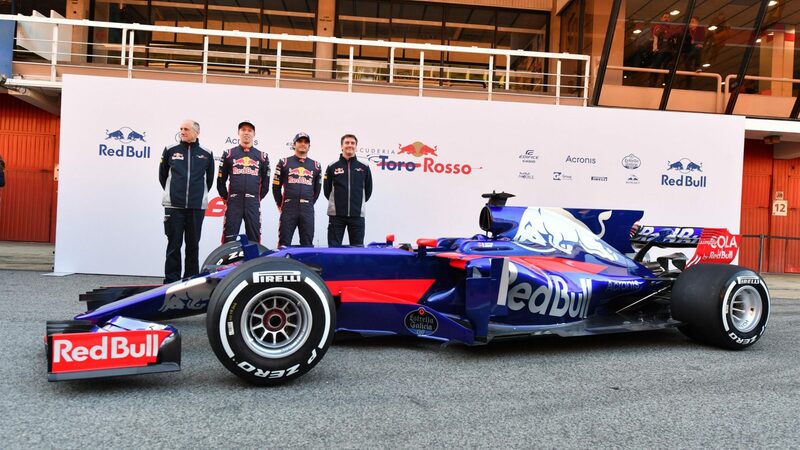 Ben Waterhouse Deputy Technical Director at the Toro Rosso F1 team has detailed the development process of the teams brand new car. 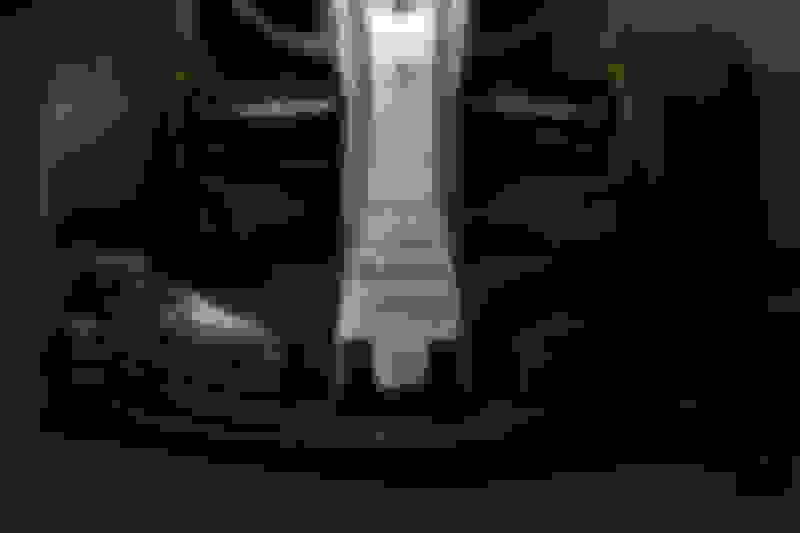 It was Honda related. I read they found an oil leak issue on the out lap. Mercedes still more than 1/10th ahead of everyone and I am sure things are very much dialed back. I can't say I have much faith this season will be any different in regards to any one challenging the Mercs. 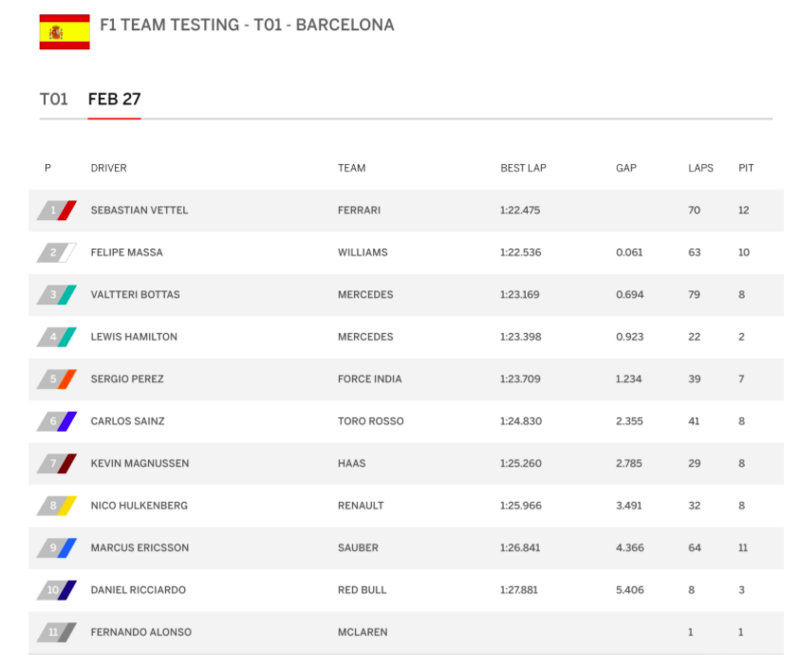 1 big thing is that Merc isnt a thousand laps a head of everyone already in testing. Actually trailing. Hopefully by time the season starts that Ferrari/Red Bull/ Mclaren etc will have closed the gap significantly so that its not another runaway. Technically they are still ahead. Vettel did 127 laps. Mercedes - Hamilton 73 and Bottas 79 for a total of 152 laps. One ran in the AM and the other in the PM session. Sadly they are still rather far ahead. I expect that amount of laps ahead to grow tomrrow. Most of these runs are shakedown, verification/validation, car setup, and reliability tests so they do tell some car performance aspects but not the complete picture. 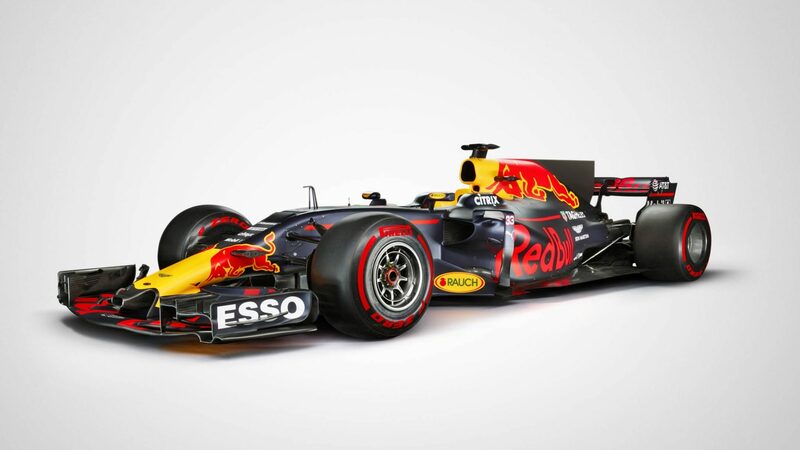 I expect the MB to be the front-runners, but RBR and Ferrari to be much closer this season. 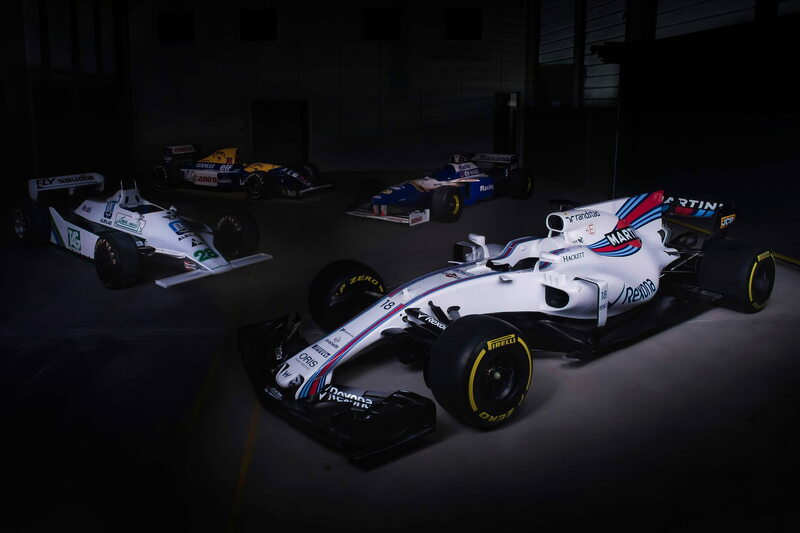 Would like to see Williams and McLaren also competitive as well. One area that's not measurable is the teams performance modelling, from what I've read and heard from the announcers. 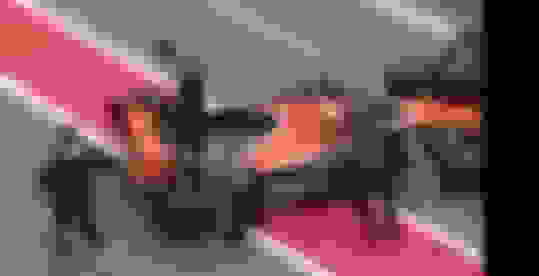 MB has a very sophisticated F1 car modelling S/W that allows them to know fairly accurately how fast their cars should be at a given track, car setup, weather, track condition, tire type/condition, fuel load, even running in traffic. Most teams have this but MB's is supposedly superior to anything else out there now. It enabled them to do accurate race strategy and tactics for pit stops and the like. Remember last year at Monaco where they asked Nico to let Lewis pass? Their modelling said he should have been going much faster in the wet and they couldn't figure out why he was so slow other than driver's ability in those conditions. 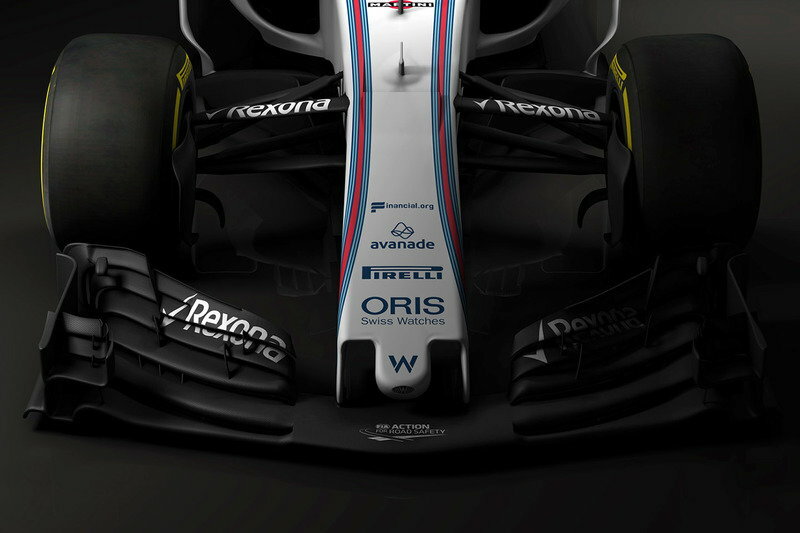 Also MB has some very talented CFD people, which can sculpt their aero packages without windtunnels. Last edited by Legend2TL; 02-27-2017 at 04:07 PM. +1, the Martini livery looks good on the Williams. 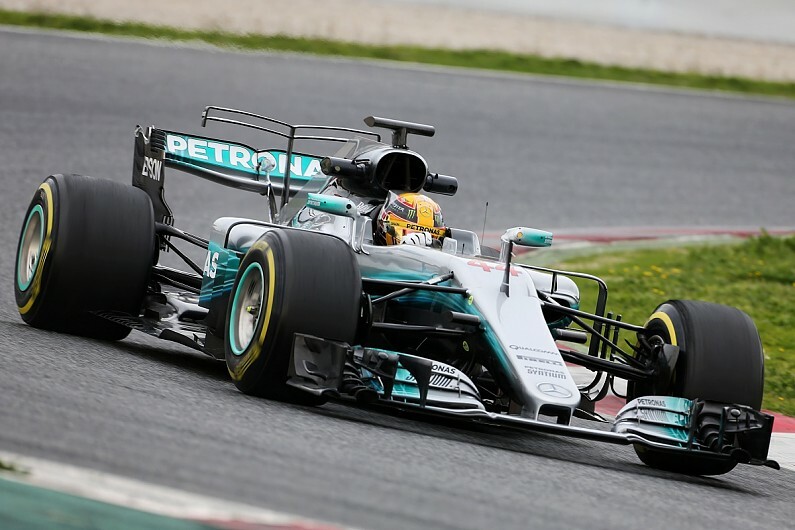 Technical analysis on the 2017 MB F1 car, pretty amazing revolutionary in concepts. He gets into the T wing on the shark fin and the front suspension rear pickup on the steering knuckle and the lack of rake. 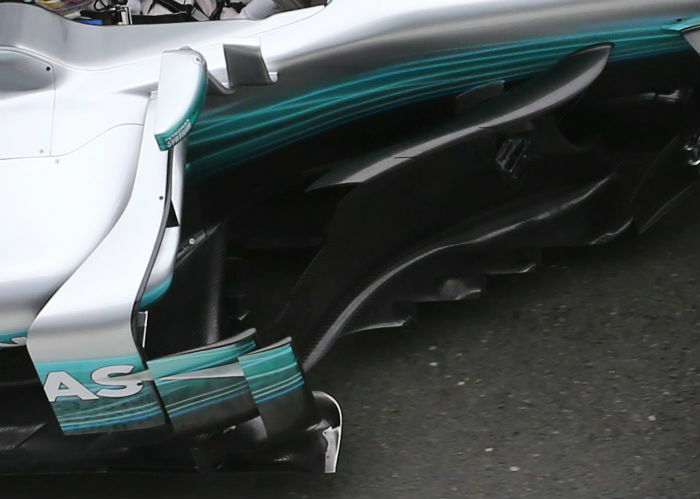 Mercedes now testing a double second wing today. 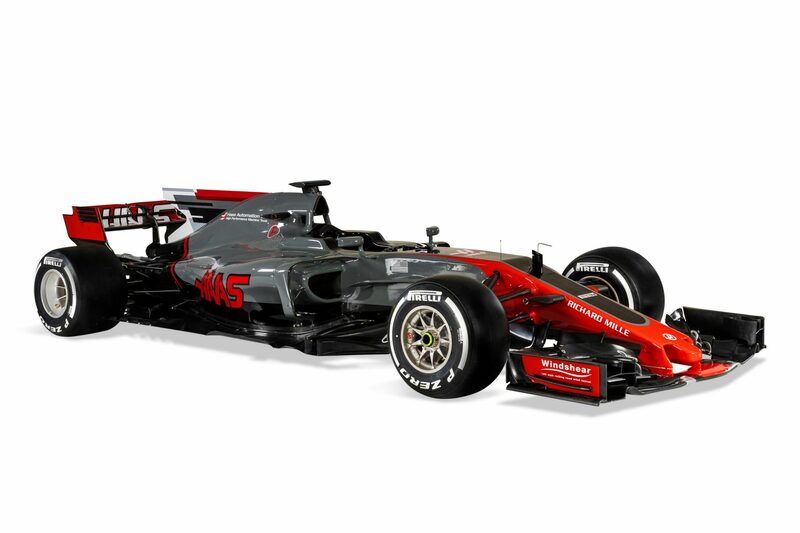 This little second wings sure are ugly but obviously with enough teams testing them they must work well. 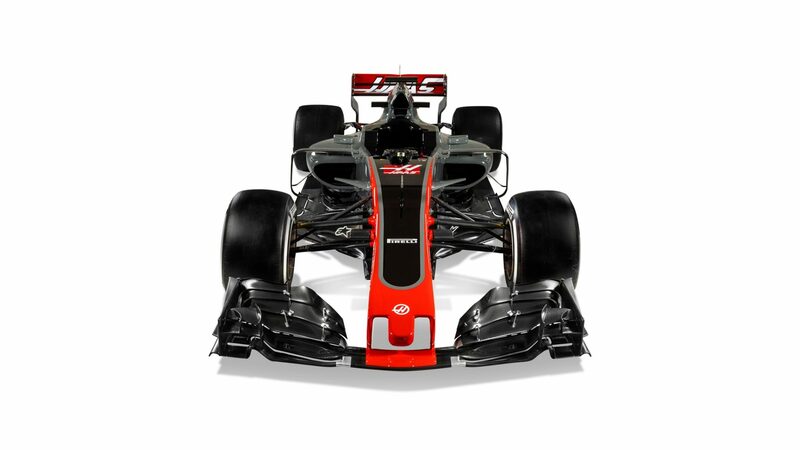 I think Haas has the best looking sharkfin if they have to have them with the wedge cut out of the backside of it. 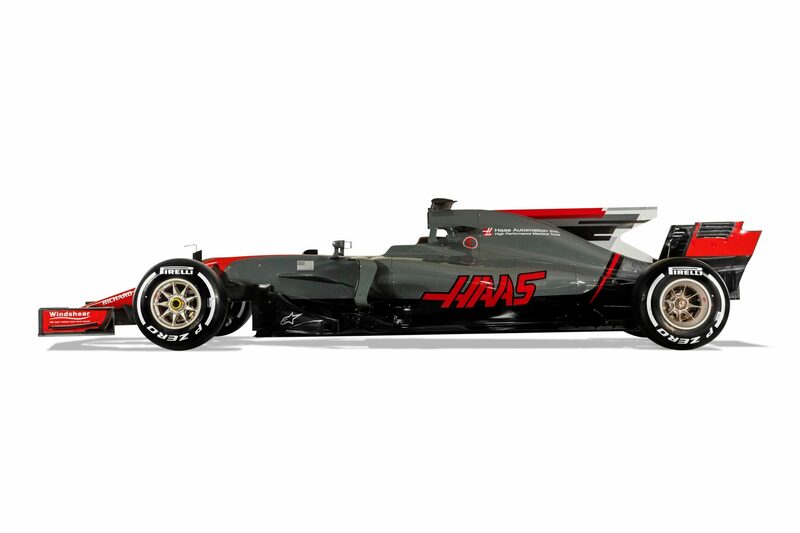 ^ Agreed that the HAAS has the best fin design. Wonder if MBZ will not use it at all. Is it a requirement this season? 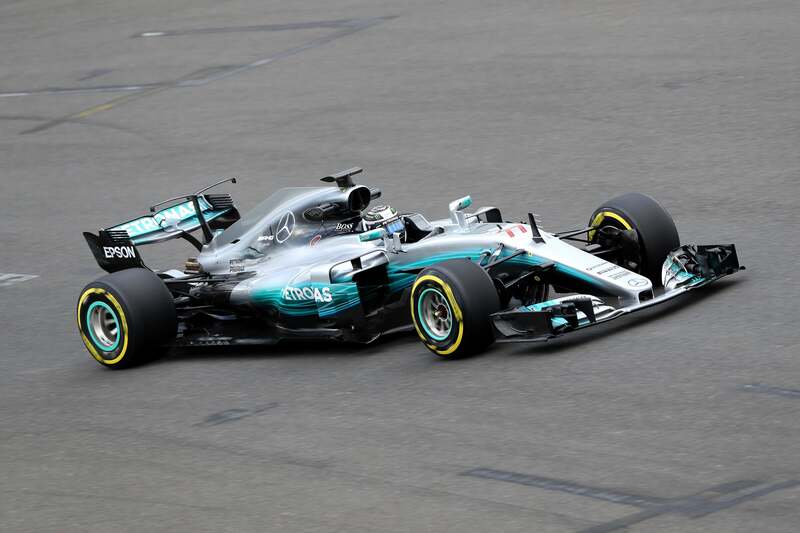 The European Union competitions commission has rejected calls to investigate the sale of Formula 1 to new owners Liberty Media. Motorsport's governing body, the FIA, gave its approval for the sale last month, paving the way for the deal to be completed. There has since been suggestions of a conflict of interest, given the FIA stood to gain in any sale, based on owning a 1 percent stake in F1. That led to the FIA defending itself with a statement that declared the questioning of its role in approving the takeover as "inaccurately informed" or "malicious". MEP Anneliese Dodds has been pushing for an investigation into anti-competition practices, with the European parliament backing her, and the F1 sale. But Dodds has received a letter from the European commissioner for competition Margrethe Vestager saying body would not investigate the sale. "This transaction did not satisfy the turnover thresholds that must be met to fall within the Commission's jurisdiction," said Vestager. Despite the move, Force India and Sauber's complaint, lodged in 2015 regarding F1's governance and payment structure, is still being considered by the commission, though it has yet to decide whether it will launch an investigation. 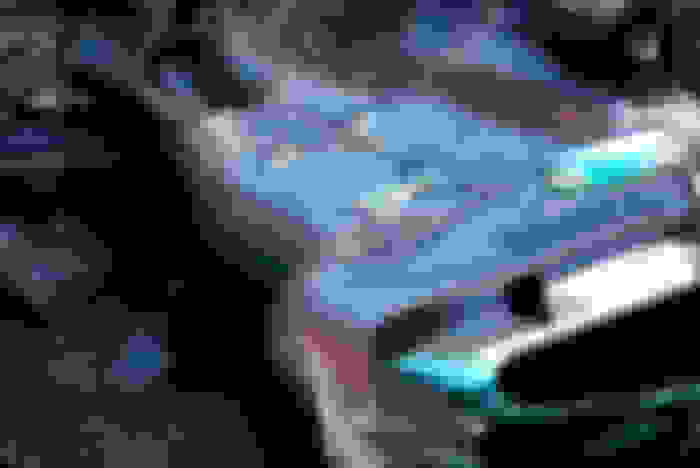 In response to the letter, Dodds said in a statement to Motorsport.com: "There are still serious questions to be answered about the unfair allocation of prize money in the sport. 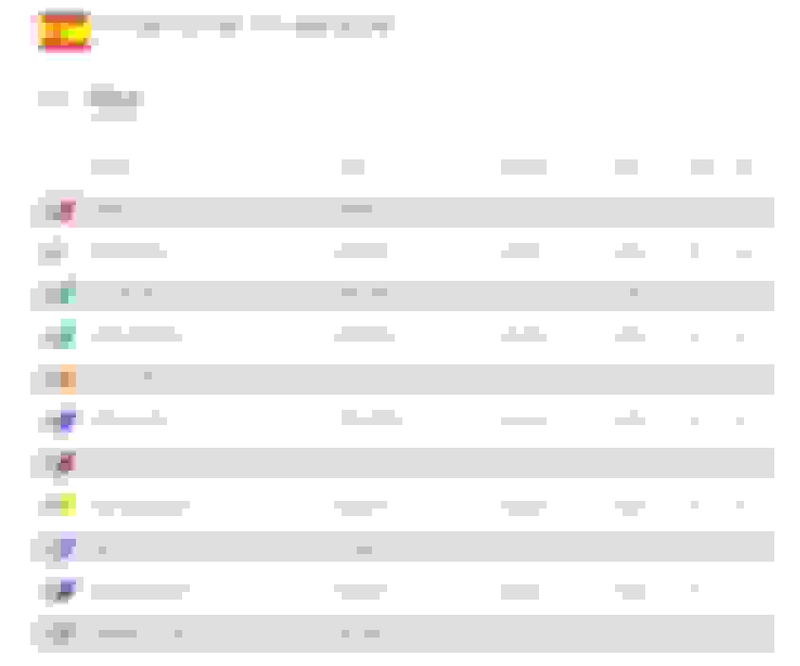 "The current system severely disadvantages the smallest teams and gives a lion's share of the money to the biggest teams regardless of where they finish on the grid. "I will continue to raise my competition concerns with the European Commission and keep pushing for a full follow-up of the complaints submitted to the commission by Sauber and Force India." Meanwhile, Vestager says her team are looking at information provided regarding F1's tax agreement with the UK's HM Revenue and Customs, which allowed the previous owners to reduce the amount of tax paid. 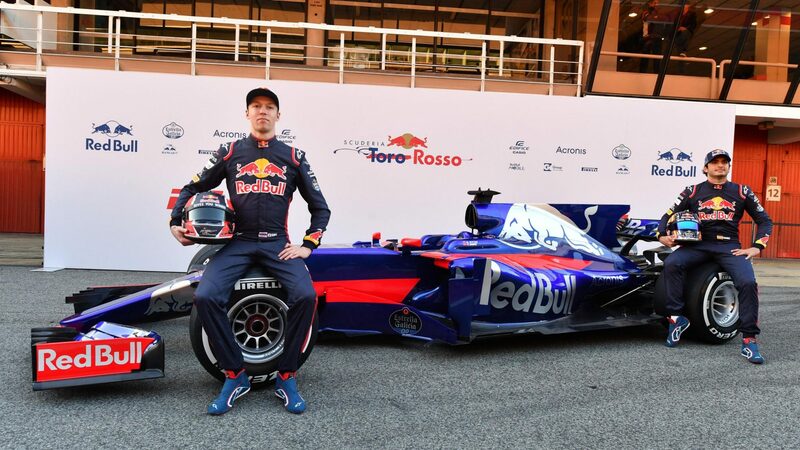 "I am glad the European Commission is investigating the tax ruling which appears to have been agreed between HM Revenue and Customs and Formula 1's former owners," said Dodds. "Any sweetheart deal that reduces the tax burden of only one company is state aid and must be taken seriously. "If such a deal breaks competition rules, I expect any unpaid tax to be duly collected by the British Government." So no surprise again Mercedes does 167 laps total. Beating everyone by almost 50 laps or more. 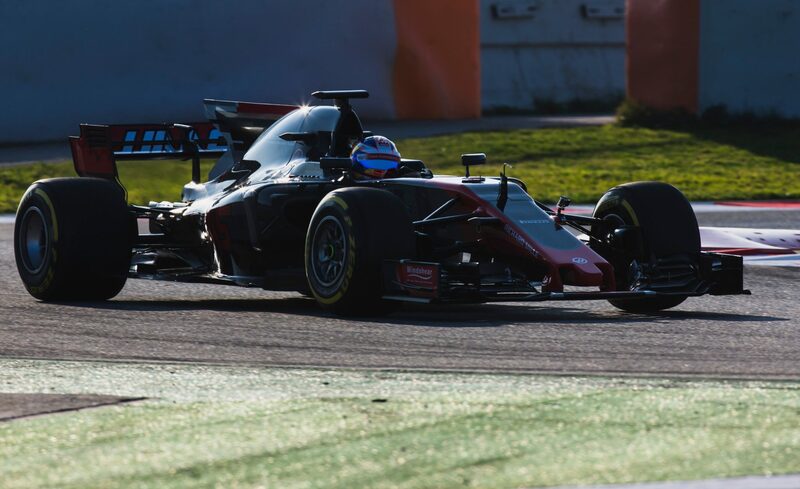 The nice surprise of the day to me though is that Haas got in 118 laps over Ferraris 108. Kimi beating out Hamilton and doing so on a softer set of tires as well. 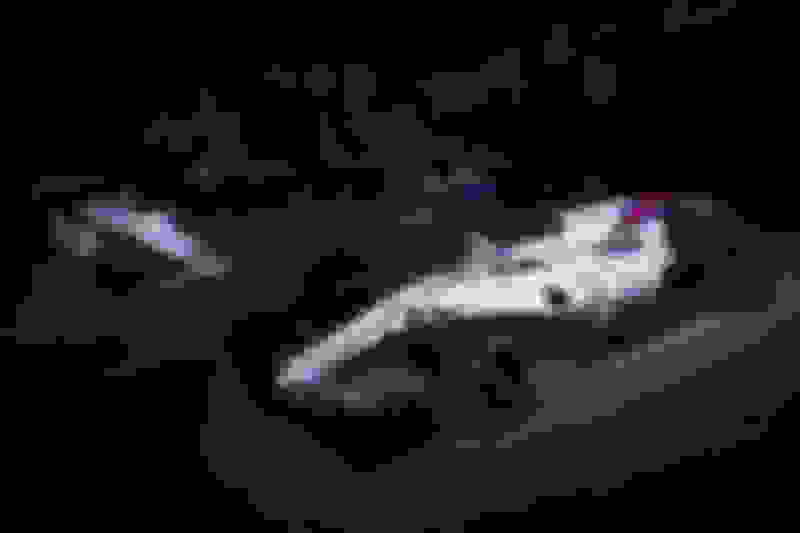 ^ aero mapping. Trying to correlate the CFD and wind tunnel modelling with actual air speed, direction, volume flow and pressure results from testing. The FIA is hoping to inspect all Formula 1 teams' suspension systems by the end of pre-season testing next week, with it understood that one outfit has already been asked to make revisions to its planned 2017 design. 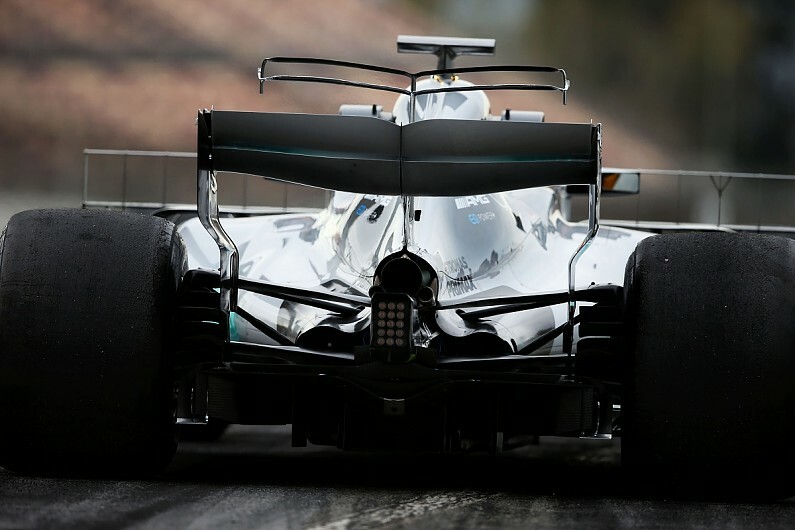 One of the major pre-season talking points has been the development of trick suspension systems that cleverly alter the aerodynamics of the car both at high-speed on the straights and in cornering. 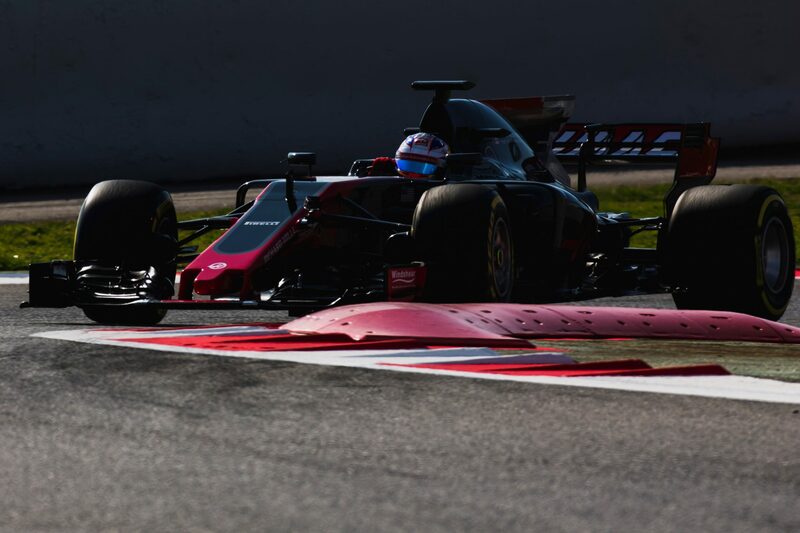 Interest in the matter was prompted by a clarification request from Ferrari at the end of last year where it queried the use of such 'pre-loaded' systems, and the FIA stated they were not allowed. It was widely assumed that Ferrari's action was prompted by it trying to get clarity on why systems used by Mercedes and Red Bull were within the rules. Ahead of the first pre-season test, a fresh technical directive was issued by the FIA where it made clear what was and was not allowed. 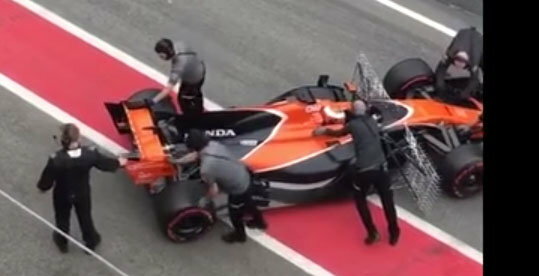 Furthermore, it went on to make clear that the onus was now on teams to prove that their suspension systems complied with the regulations. The most recent technical directive stated: "Should a competitor fail to satisfy the FIA Technical Delegate that the primary purpose of the suspension systems fitted to his cars is to insulate the body/chassis unit and the driver from undulations in the road surface the FIA may ask for the system to be removed or disabled." 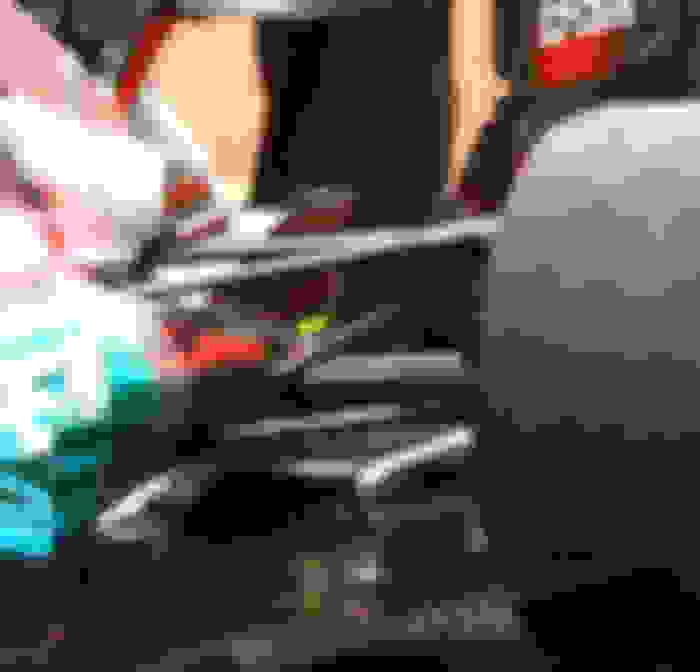 Motorsport.com has learned that in response to the technical directive, and to ensure that there are no surprises at the Australian Grand Prix, inspections of teams' suspension systems have already been taking place at Barcelona this week. It is unclear how many teams have had their suspension systems inspected, but it is understood that one team has been told to make revisions to its design concept for 2017 because it would not have been in line with the FIA's view on what is allowed. It is unclear which team has had to make a change but sources suggest that Red Bull – which has been singled out as having a design that could be impacted by the latest directive – has not yet been looked at. Red Bull team principal Christian Horner said ahead of the pre-season test that the FIA ruling 'appeared' to clear his team's design, but the matter would only be sorted by a physical inspection by the governing body. "The FIA appear to be happy with the way we have interpreted the rules," said Horner. "If anybody has a problem with that, they have the right to protest. "We can only go on the advice we receive from the governing body. Certainly all the feedback we've had has been - [there is] no issue." The suspension row has been singled out by new F1 sporting chief Ross Brawn as the perfect example of where the sport has gone wrong in terms of spending money that does not benefit fans. "We've got a controversy with suspension systems at the moment," he said in an interview with Sky. "Nobody understands them and nobody knows anything about them and we've spent millions on them. So are they really good value in this equation? "I know we have to keep the sport at the peak of technology, but are those things good value? That's where we want to play a part with the FIA and the teams to try and find the ideal path. 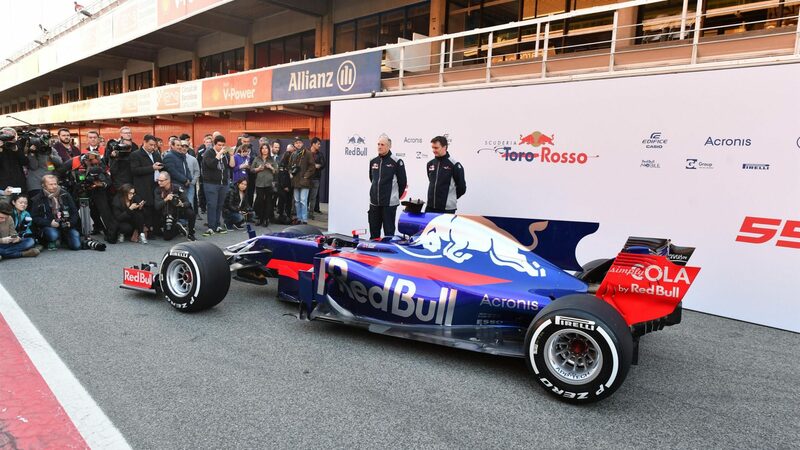 "It won't be perfect because it's a bit of an oiltanker, Formula 1, and you nudge it and steer it and I hope we can get it going in a better direction." Renault will make changes to its rear wing design before the Australian Grand Prix after the FIA advised that its support pillar concept could breach Formula 1 rules. Rivals queried the design of the RS27's support pillar almost immediately after its launch in London last week. The issue revolved around the pillar support which, rather than being attached to the main plane, joined the wing at the DRS actuator pod. 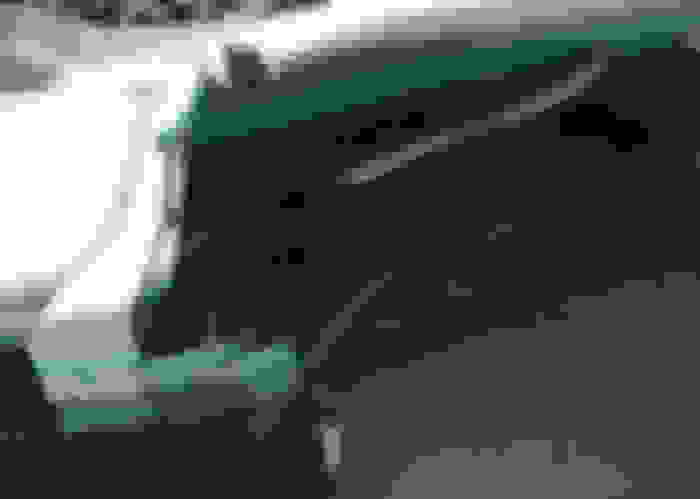 Article 3.9.6 of F1's technical regulations states that the support must be extended until it meets the area of the regulations that is related to the area of the rear wing main plane as defined in article 3.9.1. Teams have, for aerodynamic purposes, been moving the attachment point of the rear wing pillar further and further forward. The most popular method under the previous regulations was a simple connection to the underside of the main plane used to add rigidity, as used by Mercedes. 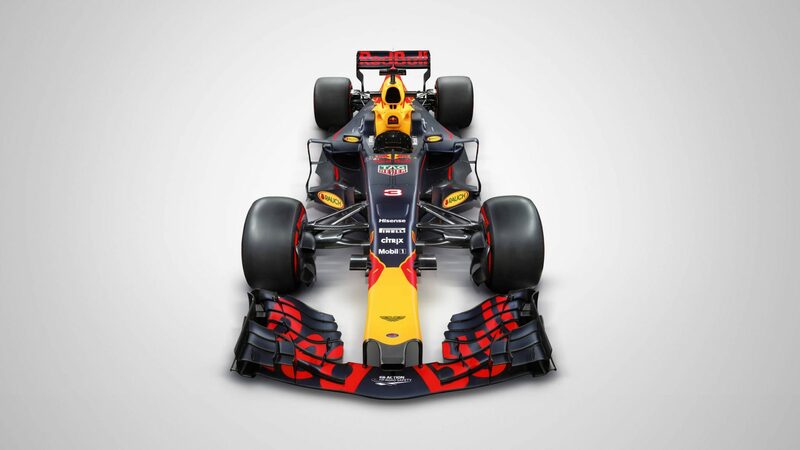 Others, including Red Bull and Ferrari, looked to improve the aerodynamic performance of the rear wing by imitating the swan-neck supports used by some LMP1 designs. The 2017 Renault idea went a step further and attached directly to the DRS pod. 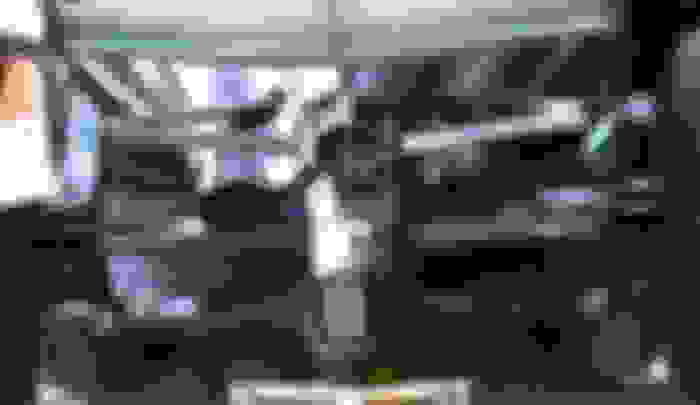 The argument was that this was allowed because there is a subsequent regulation that allows the support to be attached to "minimal parts solely associated with the adjustment of the [DRS]." Rival teams' view, now backed by the FIA, was that the bulbous nature of the DRS and support pillar attachment was much larger than the "minimal" parts mentioned in the regulations. It is understood that Renault was advised to make tweaks to the design to make sure it intersects with the main plane and work will take place to ensure the change is done before the season-opener in Melbourne. The potential advantage of the Renault design was likely related to reducing interference to the rear wing, which could have boosted the effectiveness of DRS. 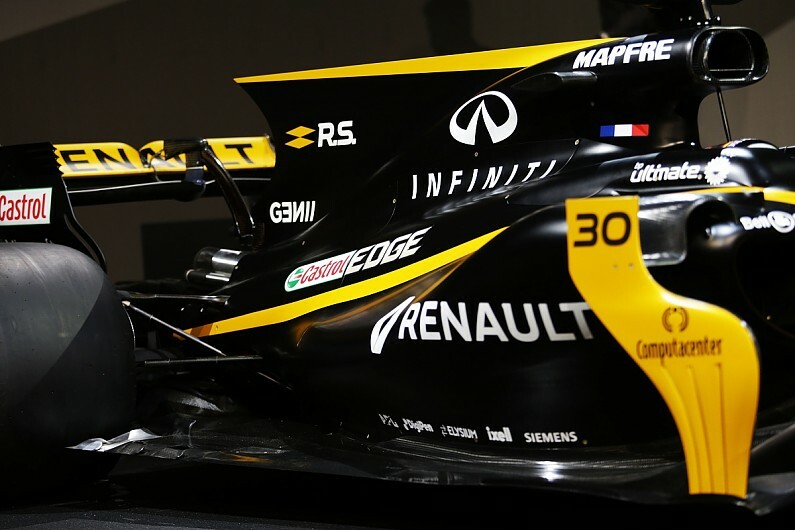 Some rival teams were not too fussed about Renault's interpretation as they doubted it would deliver much benefit. Formula 1’s new managing director of motorsports Ross Brawn says he dreams of a running a non-championship F1 event to try out new race formats. 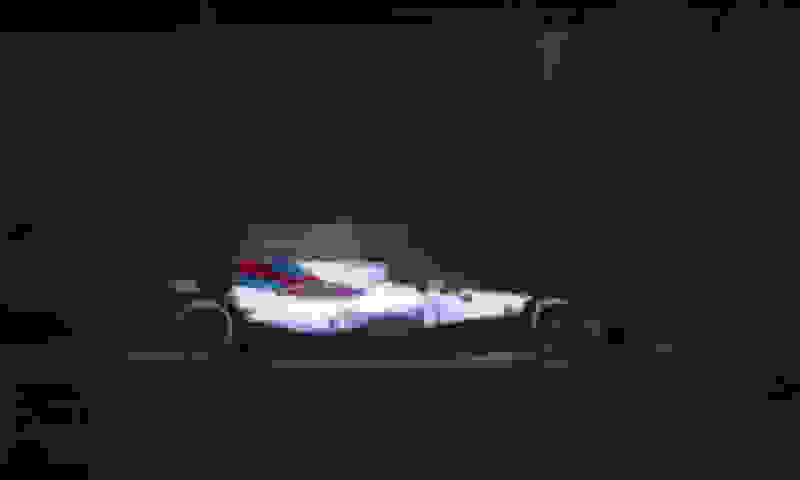 Speaking to Sky Sports during testing at Barcelona on Tuesday, the recent hire by new F1 owners Liberty Media is keen that the sport should test out a new type of race format – but not in-season at the risk of affecting World Championship events. Brawn said he would only change F1 to a new race format if the fans and competitors wanted it. “My dream actually would be to have a non-championship race once a year,” said Brawn. “And in that non-championship race you could experiment. “So you could try a different format for one race and see. It would enable us to vary the format and try something different and evolve it. Formula 1 has a great history of non-championship races, which ended in 1983 when the last-ever ‘Race of Champions’ was won by Keke Rosberg for Williams at Brands Hatch. “You can’t take a risk in a championship of swapping the format and getting it wrong,” said Brawn. “I’m a bit nervous about that. Brawn also said that any changes would have to appeal to current Formula 1 fans, as well as potential new followers. “If we went to two races over a weekend and then realised it wasn’t quite what we want, we can’t change it,” he said. “What we don’t want to lose is our classic fans – we want to maintain them. We want to give them an even better deal, and also encourage new enthusiasts.